Home / Articles / Love me two times…..
That’s what the bartending industry has told me. My first love was Flair bartending, my second was Mixology. I started tending bar a few months after turning 18 as a fun way to make some money during college. At my first bartending job I learned a few small Flair bartending techniques; like flipping an empty beer bottle off the bar, tossing a lime behind my back into a margarita and tossing a bottle or two around when it was slow. I started notice that my average weekly tips were improving and my guests were having fun with it (me). At 20, I entered my first Flair bartending competition, a local comp on Long Island and I placed second. Feeling very good about myself I entered a world competition in the Cayman Islands and quickly found out I had a lot to learn, but my world had changed. 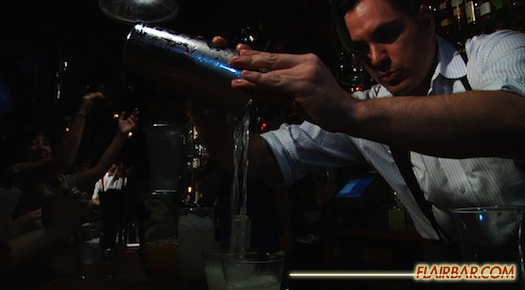 I appreciated the craft of bartending much more than “an easy way to make money”. I saw an art form. Flair bartenders like Tobin Ellis, Christian Delpech and Ed Hibbert showed me how Flair could be incorporated into bartending almost seemlessly. No spilling, no breaking, no dropping. Perfection of the entertainment portion of the craft. I competed from 2000-2005 in multiple world competitions, placing 5 times in the top ten. I began co-organizing a competition in NYC called the Big Apple Showdown in 2003. On one of the nights after the qualifying round my bartending world changed…again. I walked into Milk and Honey and met Sasha Petraske. I sat at the bar with 3 friends and was amazed. Not just by the multiple rounds of bespoke cocktails that were perfectly crafted but by the beauty and knowledge and respect for the craft and the past that he and his staff had. I had never seen anything like this. I was hooked instantly. I began visiting every cocktail bar in NYC, amazed by how polar opposite the Flatiron lounge and Pegu Club were to what I had always known as bartending. These bartenders seemed to know everything about the drink and were very serious about their job. I began to fall in love with both arts. The beauty of flipping bottles and tins in the air interacting in a “the party is right here” way and at the same moment the talent of a bartender to ask me to pick a spirit and completely nail the drink I wanted. I didn’t know how to choose which craft I wanted to pursue. This decision was partly made when practically every Flair bartending moved to Las Vegas, but my mind was fully made up on a trip to London. I made it a point to go to every cocktail bar I could visit and when I sat down at Montgomery Place (off portabello road) I realized I didn’t have to decide. The bartender behind the bar wasn’t a “Flair bartender” and he wasn’t a “mixologist”. He was a rockstar. He moved like he was dancing behind the bar, he had no wasted movements. A little Flair here a little Mixology there. It was magic to my eyes. I headed back to NYC on a mission. My first job in a cocktail bar was Lani Kai (my advice before the interview was to know both versions of a Mai Tai or don’t bother showing up, thanks Tobin Ellis), followed by the historical Monkey Bar. A little Flair here….a whole lot of Mixology there. But I ate it up, I kept learning about spirits, technique, classic cocktails. While working at these bars I continued to judge Flair completions, work private Flair events and teach Flair bartending seminars, but it was “don’t ask, don’t tell”. I didn’t want anyone to know I knew Flair. Flair in NYC was the devil. I attended a seminar called, “Pioneers of Mixology” and found my belief that both Flair and mixology could blend when Dushan Zaric (Employees Only) spoke about the three parts of a great bartender. 1 part mixologist, one part sage and one part rockstar. Sold. Then came the Beatrice Inn. My first opportunity at running a bar program on my own. All mixology, very little Flair (give me a break, the ceiling was 7 feet high, seriously). But during that time I appeared on multiple national television ads and shows demonstrating Flair bartending. During this time, I had my “full circle moment”. I was hired to train two of the bartenders at the new Milk and Honey how to Flair. I couldn’t believe it. Fast forward to today. As the Event Coordinator for the Flair Bartenders Association one of my first questions to every client is “do you need any cocktails created for the event?” The United Stated Bartenders Guild has a Flair division. At least half of the Flair bartenders I used to compete against either own or work in cocktail bars. Some Flair bartending competitions now have Mixology categories. My bar manager was excited when hearing I could Flair. The arts have meshed. The line that divided Flair and Mixology is gone. 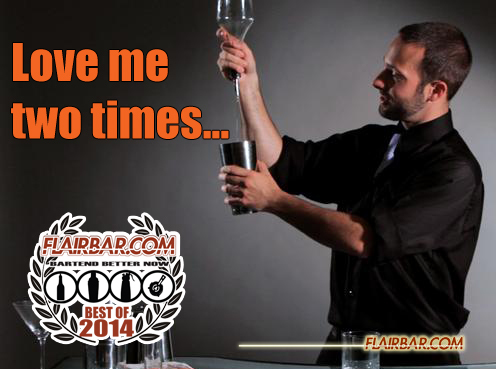 Most of the best “Mixologists” do a little Flair on a nightly basis. 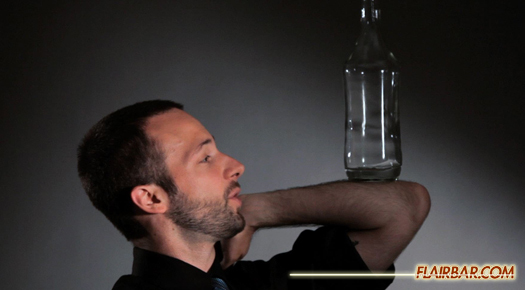 Most Flair bartenders can now craft great balanced cocktails. The bartending craft has allowed me to fall in love twice. These are very exciting times.